At this point, a live look at Virginia politics would just be the vacuuming fire GIF. Governor Ralph Northam dressed in blackface at least once. Should he resign, his successor would be Lieutenant Governor Justin Fairfax. Except he’s being accused of sexual assault. If we take out those two bags of trash, we are left with State Attorney General Mark Herring. Who apparently also appeared in blackface. We at DGB can’t even. We are all out of evens. Your DGB for today is to tell all three guys they have to go. See Monday’s Grab for Northam’s contact information. And Mark Herring can be contacted here. It’s 2019 and we can celebrate, ladies, because sexism is DEAD! LOLOLOLOLOL Just kidding, it’s not even winded. Remember how Hillary Clinton was treated by the media, even “the good ones,” the fair-minded guys and gals writing for the NYT and WaPo, or reporting on CNN and NPR? “Does she smile too much? Or... not enough?” they wondered. “Is she likable?” they asked. We can’t remember them pondering this about a single, solitary male politician, not even when the question was begging to be asked. Well, the “likability” question is baaaaaack and shockingly, it’s still about a woman. This time, Elizabeth Warren. About two nanoseconds after she announced she had established an exploratory committee into running for president in 2020, the highly gendered hand-wringing began. Your DGB for today is to hold the media to account for this sexist trope. Every single time they ask if Warren is “likable,” or Harris is “relatable,” or if Klobuchar is “warm enough” or “too maternal,” ask them when the last time was they talked about a male candidate like this. Call them out, and demand the press do better. Chaos still reigns in North Carolina since the state election board refused to certify Mark Harris’ self-declared and possibly stolen victory. It is now clear that no congressperson will be seated in the House of Representatives from North Carolina’s 9th district when the first session of the year begins tomorrow. If you live in this district, your local office will open tomorrow to assist with constituent issues, managed by The Clerk of the US House of Representatives. It remains to be seen how this will affect the functionality of government there, or who will eventually fill the empty seat and how that will be determined. Less than 1,000 votes separate Republican Mark Harris and Democrat Dan McCready. Your DGB for today is to continue to support McCready using our original Grabs on NC 9 below. In a scathing rebuke of Trump’s choices regarding Justice Department leadership, this lays out an excellent case against confirmation for Barr, who is nominated for Attorney General, and who already cleared Trump of Obstruction of Justice in a memo no one asked for. Your DGB for this weekend is to donate to or volunteer with Let America Vote. Founded by Jason Kander in 2017, Let America Vote is working hard to protect and restore voting rights for all Americans. Amid a looming government shutdown, stock markets plunging, and Mattis-resignation-induced global chaos, Acting Attorney General Matthew Whitaker made his move. At first, Whitaker tried to plant the story that ethics officials told him he did not need to recuse himself from overseeing the Mueller’s investigation. After some leaks from inside the government, the actual picture emerged. This article explains it well. Basically, Whitaker has cleared himself. Cool. Cool, cool, cool, cool. Lawmakers are heading home for the holidays, so your DGB for this weekend is to contact the Justice Department directly with your concerns. After firing Attorney General Jeff Sessions and ignoring the chain of command by installing Matthew Whitaker, Trump finally came up with a new nominee for the position. Your DGB for today is to contact your senators and let them know that you oppose Barr for AG using Resistbot. It’s safe to say the election on November 7th didn’t go well in North Carolina’s 9th Congressional District. 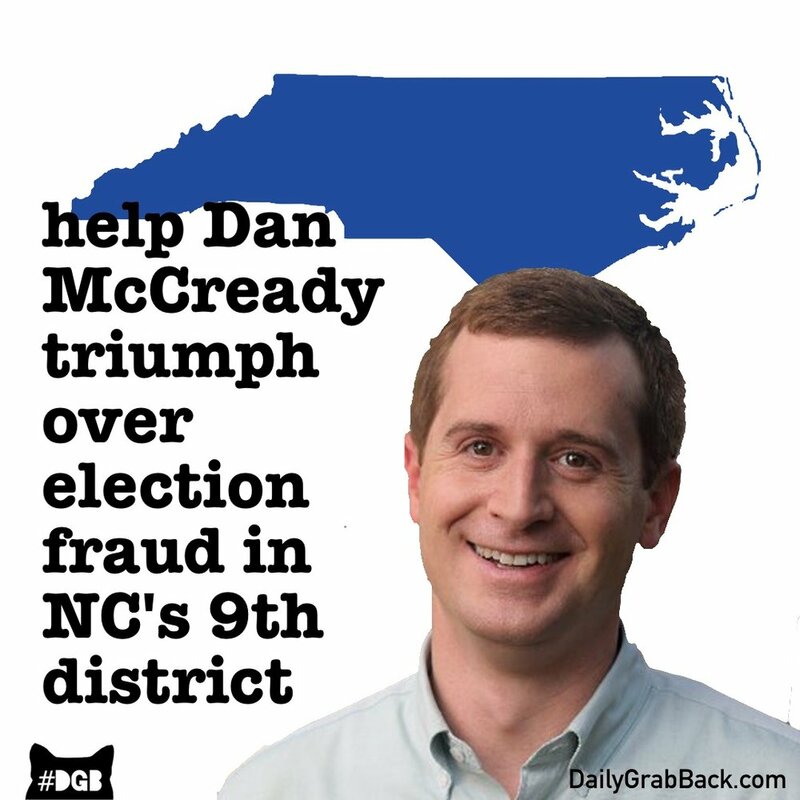 There’s still no winner, Democrat Dan McCready had to unconcede, and there have been widespread allegations of fraud - a story that has mostly slipped through the cracks with all the Cohen/Manafort/Flynn business. Wow, huh? Your DGB for today is to remind Graham of his passionate defense of the office of the Presidency with his own words. Contact him below. Midterm elections still aren’t over. 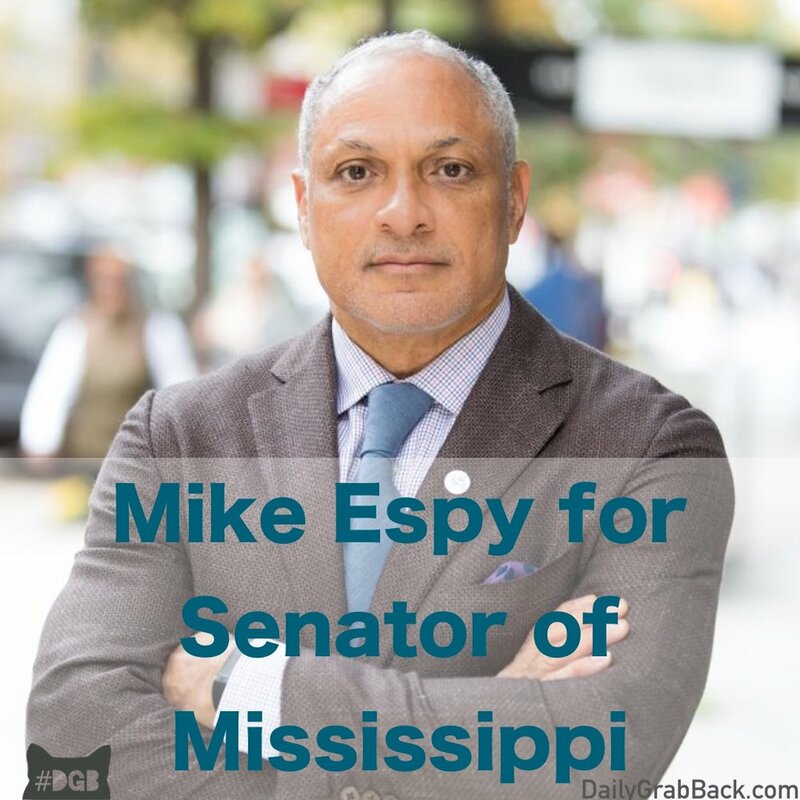 Mississippi’s Cindy Hyde-Smith heads to a runoff with challenger Mike Espy tomorrow, after no single candidate received 50% of the votes on November 6th. Hyde-Smith somehow still leads in every poll despite her comments about “public hangings”, endorsement of voter suppression, and photo shoot with confederate paraphernalia. Your DGB for today is to help elect Mississippi’s first black democratic senator by getting the vote out tomorrow. In a lower-profile Georgia contest that took place on November 6, neither Republican Brad Raffensperger nor Democrat John Barrow picked up 50% of the vote required to become the next Secretary of State. You may recall that Brian Kemp used his time as Georgia Secretary of State from 2010-2018 to suppress minority votes, later edging out Stacey Abrams in the fight for Governor. Needless to say, it’s an important position. Your DGB for today is to help John Barrow win the runoff election. Early voting begins November 27th. Give the candidate a social media boost and/or volunteer for his campaign below. Your DGB for today is to support Nancy Pelosi in her bid for Speaker of the House. Call your Member of Congress or MoC-elect and tell him or her you want Nancy to hang on to the gavel. Here’s an object lesson in sexism: Chuck Schumer, who as Senate Minority Leader presided over losses in his chamber this November, faces zero calls to resign his speakership. On the other hand, Nancy Pelosi, who has lead the Dems to historic WINS in the House, is being raked over the coals by some of her Democratic colleagues. They are calling for “new leadership” and threatening to oust her if she doesn’t step aside voluntarily. Because that’s how you treat a seasoned warrior who just delivered a big fat blue wave, we guess…? The most depressing thing is how readily some on the Democratic side of the aisle are willing to regurgitate right-wing talking points when it comes to strong, outspoken women. In response to calls for Nancy’s head on a platter, many groups have come out in support of her - MoveOn.org, Planned Parenthood, dreamers (remember when she filibustered for 8 hrs in stilettos on behalf of DACA? ), Human Rights Campaign, eleven labor unions, and League of Conservation Voters. And why not, she’s a badass who clearly terrifies the right and as Speaker she. is. killing it. 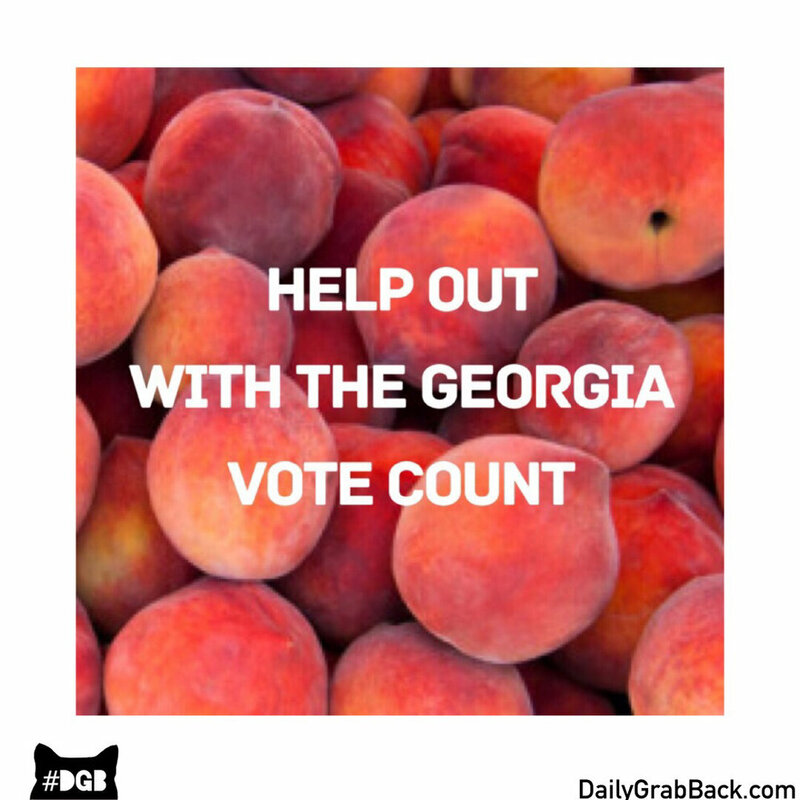 Your DGB for today is to help make sure all Georgia votes get counted. Over a week after election day, a winner still hasn’t been declared in the race for Georgia governor. Of course, Brian Kemp has declared victory for himself. But like a warrior, Stacey Abrams never conceded and the counting and lawsuits continue, with Kemp’s lead continuing to dwindle. Please share this information widely, even if you do not live in Georgia. Your DGB for this weekend is to elect a West Virginia democrat to the House of Representatives. Richard Ojeda (D) is running against Carol Miller (R) in a race for the 3rd district that is a virtual tie despite being in a crimson red area. Help out Ojeda below. Your DGB for this weekend is to elect a Washington democrat to the House of Representatives. With current seat-holder Dave Reichert retiring, District 8 has the opportunity to elect Kim Schrier in this toss-up rated race. Your DGB for today is to help two incumbent democrats fend off challengers. It’s down to the wire in several key races, but today we focus on Florida and Indiana. The Trump Administration threw another gut punch the other day with an announcement that it’s now moving toward defining gender as “immutable” and defined at birth by genitalia. While we suspect that Trump’s understanding of transgender issues is something like “dislike because Obama”, unfortunately he has a whole cabal of people in his bureaucracy that are malicious and clever enough to figure out how to write their personal contempt into law. You DGB for today is to respond to this by channeling your rage into the upcoming midterms. Or more particularly, channel your specific outrage to this specific nonsense by specifically supporting a transgender candidate. Let’s put people in power that are living this experience. Logan Casey, a political scientist, has done the work of gathering a list of transgender candidates. Go to this link, find someone, and donate, follow and/or volunteer for their campaign. The list is on the left side of the page, candidates still in play are in green. Grab a vote and stop erasure. Your DGB for today is to get the word out about early voting in your state. As with any responsibility, saving voting for the last minute isn’t always the best idea. Use Vote.org’s early voting guide to see if the window is open in your state. Then share on social media! Your DGB for this weekend is to elect Virginia democrats to the House of Representatives. All four Virginia districts holding elections for the House of Representatives in November are flippable, which is great news. Donate a dollar to each democratic woman below. If you can only donate to one campaign, DGB recommends Leslie Cockburn because we’ve never seen a candidate with a name so perfectly suited to being the theme of 2018 midterms/our new favorite verb. Your DGB for today is to help North Dakota’s Heidi Heitkamp keep her senate seat. During the BeerBeerBeer confirmation process, Sen. Heitkamp showed fellow red state democrats and moderate republicans what courage is by voting against Brett despite being at least 12 points behind challenger Kevin Cramer. Did she vote in her own interest? Nope. She voted her conscience. Heidi tried to save our country and now it’s our turn to try to save her North Dakota seat. 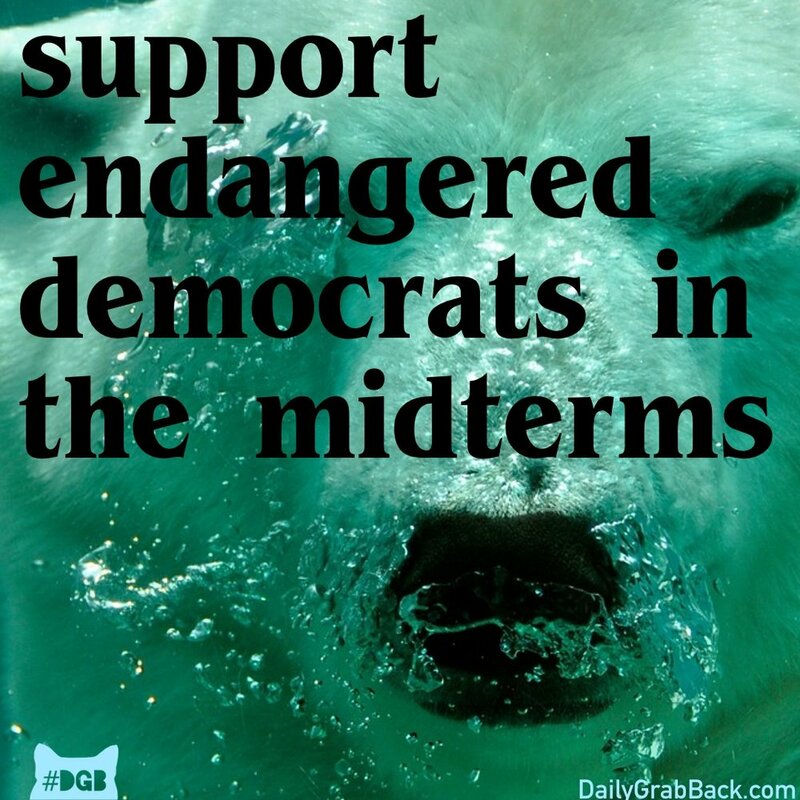 Donate and even phone bank from out of state below.